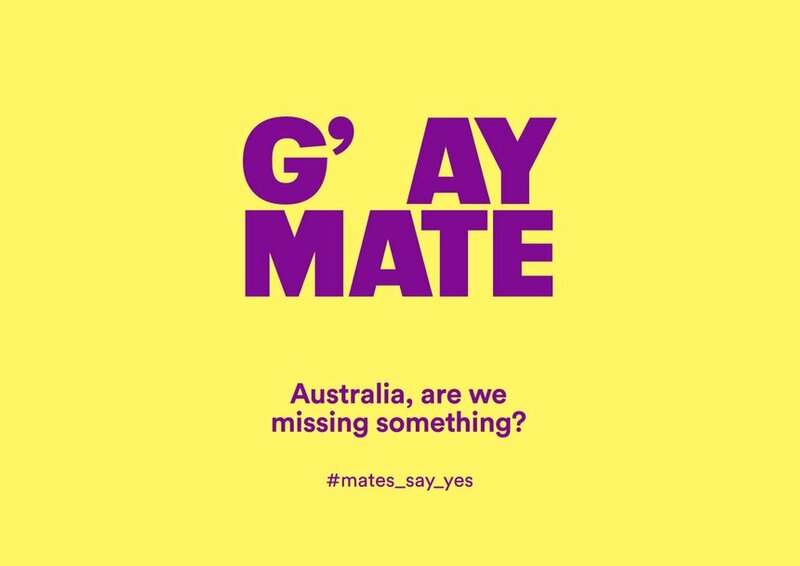 G’day mate. 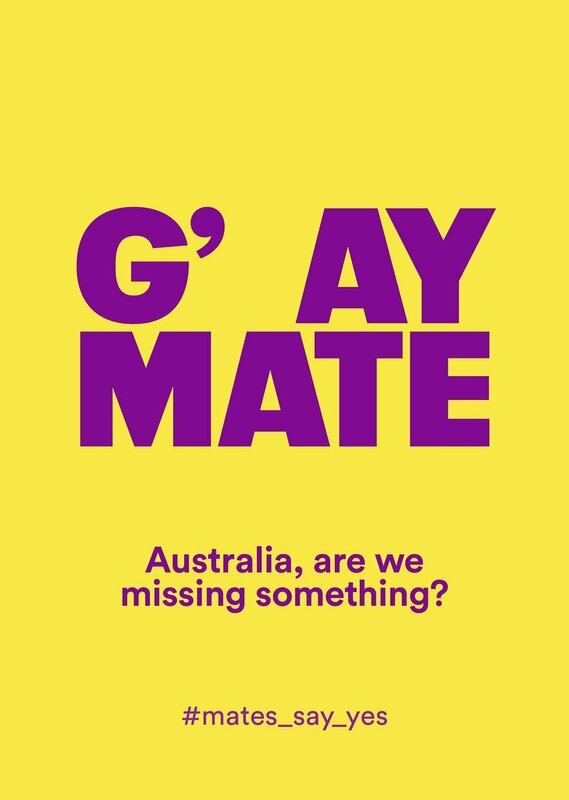 The most famous of Aussie phrases. 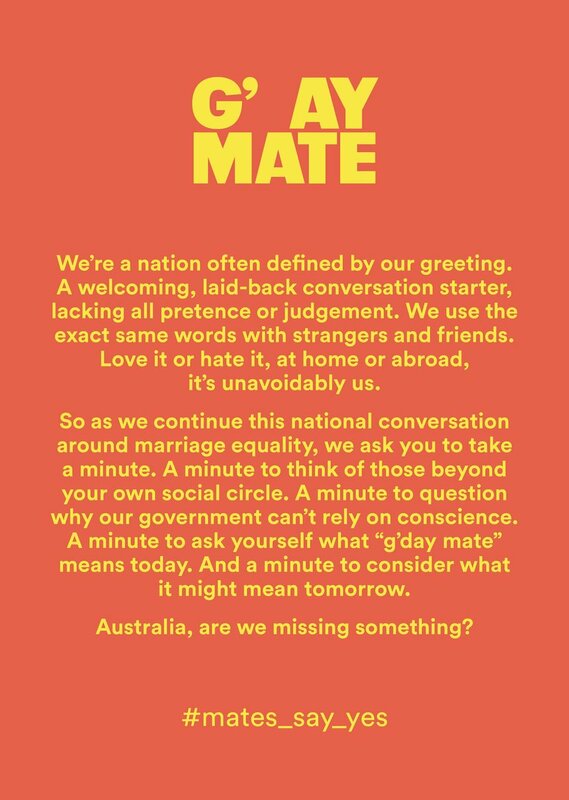 So when the debate on legalising gay marriage turned sour, Cotton On Group decided to embrace the term as part of the collective fight back. 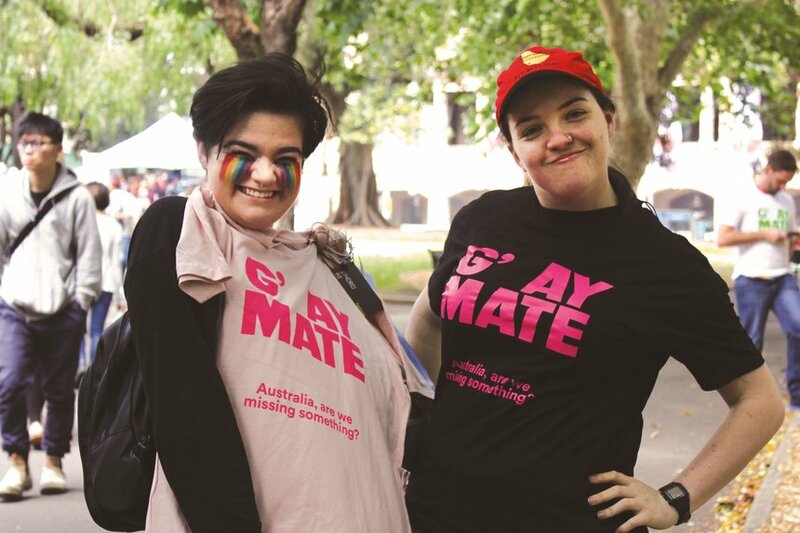 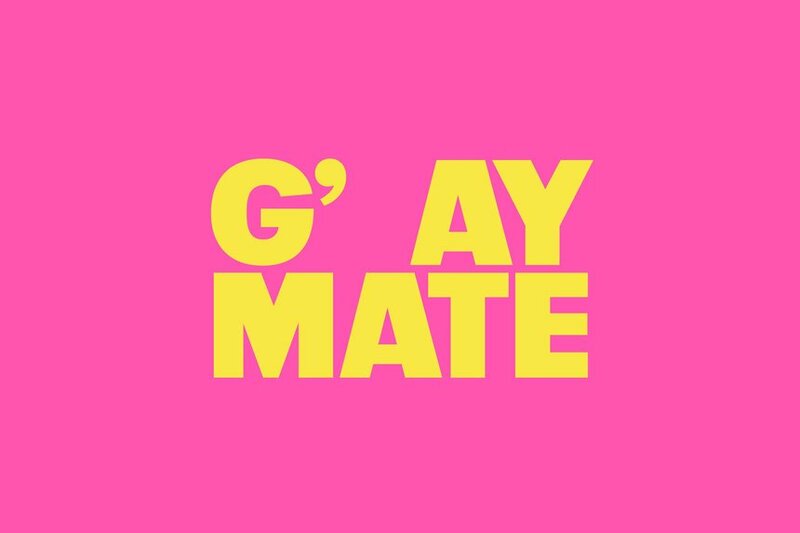 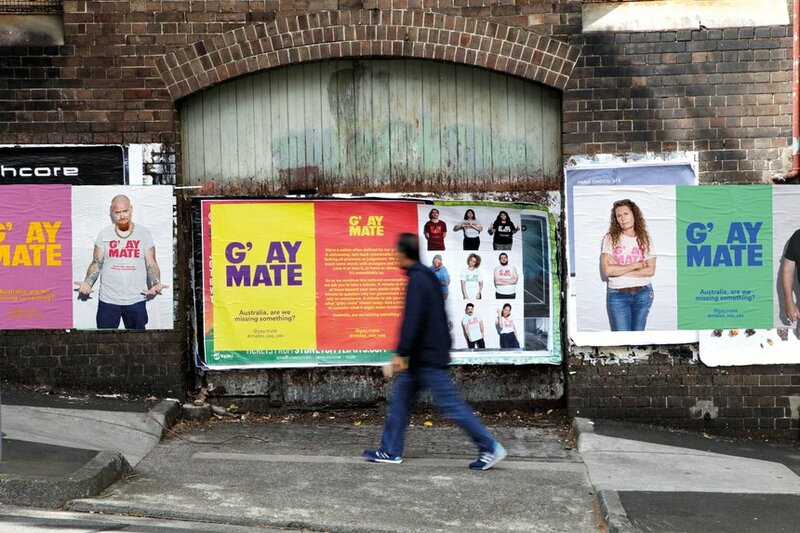 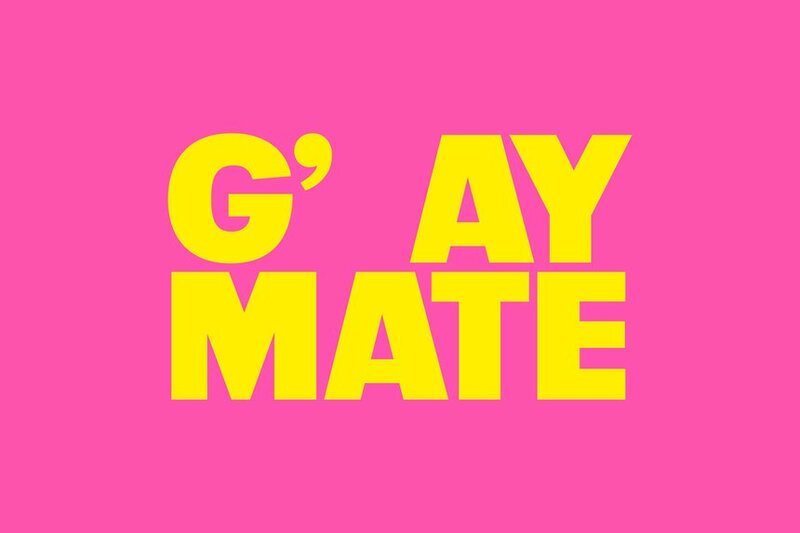 G'AY MATE is a reminder of what it means to be Australian: friendliness, being laid back, and to always give everyone a fair go.